Fourth in the “Attack of Cheap Whiskies” line comes Jameson Irish Whiskey. Yes, I’m including an Irish Whiskey in this list. Because sometimes, it’s not all about the Bourbon. Coming in at just below $19, Jameson is probably in your home bar right now.. and why wouldn’t it be? Jameson Irish Whiskey is a classic representation of a no-frills, slam-one-back drink. As with most Irish Whiskeys, Jameson is triple distilled. Most American and Scottish Whisk(e)ys are double distilled, so, predictably, Jameson comes across as cleaner. Expect more of an alcohol punch and less in-your-face barrel notes going in. And, I have to be honest here; for about two decades I thumbed my nose at Jameson. I thought that it was too light, too lacking in flavor, and had no virtues. Then, one cold and rainy Wednesday I asked the bartender at my local pub for a whiskey. “Any preference?” she asked. “Surprise me,” I responded. I enjoyed what she poured and was shocked to learn it was Jameson. Preconceptions destroyed. Scents and flavors are parallel in Jameson, with few exceptions. While this guarantees a consistent experience, it doesn’t leave many surprises. But hey, this isn’t a single malt nor a corn whiskey, so we shouldn’t expect too many. 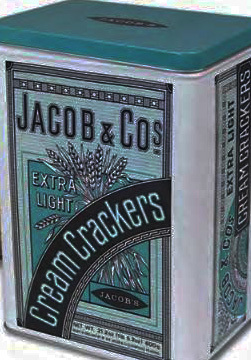 Beyond the mild hit of grain alcohol, I found scents of English Cream Cracker. It’s subtle, but I swear it’s there. Backing that up is a spicy clover honey note and a decent hit of orange peel. Not much in the way of barrel notes on the nose here. The flavors, while again Cream Cracker-centric, do produce a touch of barrel note in the form of vanilla and a mild bit of marcona almond. 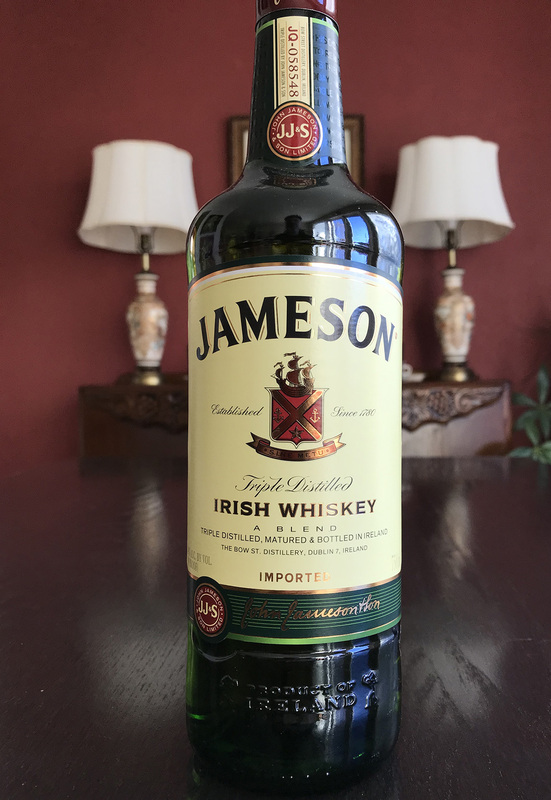 The honey from the nose is still present here, and the orange peel remains; making Jameson a great candidate for late night sipping, or mixing in cocktails. The finish is warm, short to middling in length, and light. Mild almond and citrus peel remain, which, for me, is a good thing. Sadly, consistency here isn’t velvety; so I’m left with a watery sensation on my palate. However, if there’s one takeaway I’d like to drive home for you, Dear Reader, it’s that Jameson is smooth. It’s an easy sipper, to be sure. Chilled to the bone? Slam back a dram of Jameson. Trying to chill out on a warm night? Sip it on the rocks. Will I be poisoning my body with more Jameson? Yes. Would I recommend that you buy it? Yes. Jameson might be the *perfect* under-$20 whiskey. I can’t think of any other whiskey at this price that I’d drink happily. I’m going to reserve my judgement until after the last whiskey is reviewed… soon!